In a savage world of man vs nature, are you the hunter or the hunted? Turtle Rock Studios bring you Evolve, the next-generation of multiplayer shooters where four hunters face-off against a single, player-controlled monster. Stalk your prey, execute your attack and prove you are the apex predator in adrenaline-pumping 4V1 matches. Evolve is the winner of over 60 awards making it the most award winning game coming in 2015. Most notably, Evolve is the first game to win both the official E3 and Gamescom Best of Show awards in the same year. 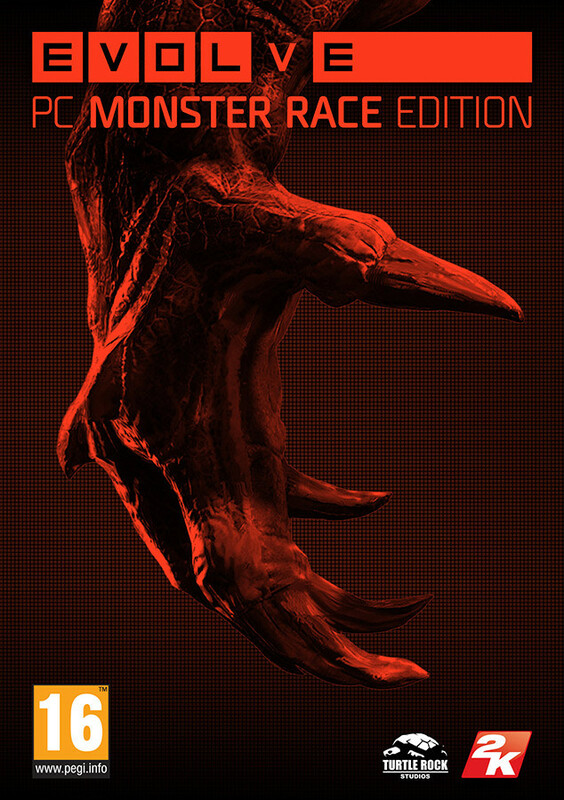 4V1: Grab three friends and hunt the monster or stalk the humans as the evolving beast. Whichever side you choose, you will have access to powerful weapons and abilities that deliver balanced, competitive gameplay. Hunt Together or Die Alone: Choose a hunter that fits your play style. Whether you play as the Trapper, Support, Assault, or Medic, every role is vital and teamwork is key in surviving an encounter with the monster. Beast of Prey: As the monster – the lone predator – you are the boss battle. Use savage abilities and an animalistic sense to wreak havoc, kill the humans and prove you are the dominant species. Savage Planet: Neither flora nor fauna are friendly on planet Shear. Fall victim to natural hazards or use them strategically against your prey.